I would like to describe how to refresh dynamic content available in ADF Page Template from consuming ADF Page Fragment. 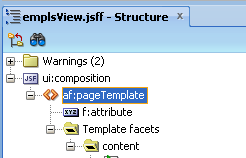 This is not always obvious, because physically ADF Page Template and ADF Page Fragment are two different files. 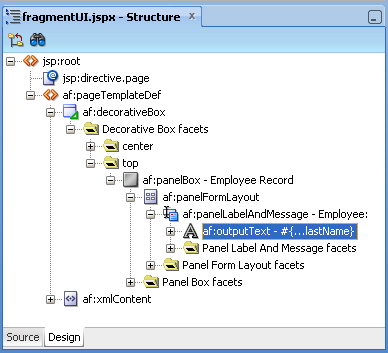 However, this is possible by applying partial trigger on ADF Page Template binding tag inside ADF Page Fragment itself. 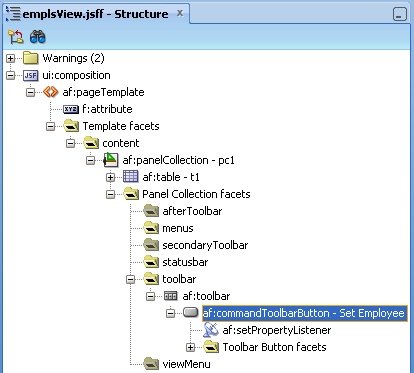 This post is intended to show how to refresh ADF Page Template from ADF Page Fragment, use case about selected employee name retrieval can be implemented in different ways as well. Download sample application - TemplateRefreshApp.zip. 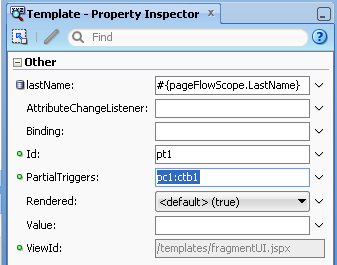 I didn't know about putting partialTriggers in af:pageTemplate. Hope it will solve my issues. 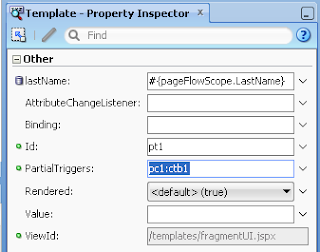 But, I don't understand why you put "bindings.LastName.inputValue" into "pageFlowScope.LastName". It works even if we pass directly "bindings.LastName.inputValue" into template attribute. Passing values from bindings to template attribute directly is not recommanded? (I ask this, because doing so, I can put partialTriggers=pc1:t1). No, there is nothing like that - I prefer to pass values directly through bindings. Just in this case, I wanted to separate through pageFlowScope, in order to show that refresh works even when value is passed through pageFlowScope. Hi. I'm new to ADF and what I'm looking for is "the opposite" of this post, or better how to refresh dynamic content available in ADF Page Fragment in another Fragment, as a polling. Thank you for your consideration. Thanks for your post. Nevertheless, i have the exact opposite need: how to refresh the content facet of a page template when some selectonechoice changes its value. Any clues? How to get page template attribute value on template binding? 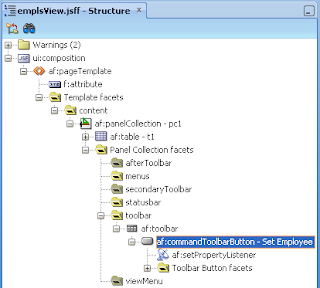 I will invoke execute with params methods and template attribute set to method param.